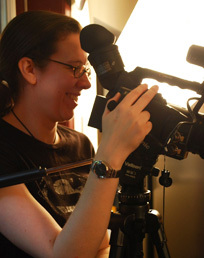 In 2008, Regan Latimer got her friends together to create three episodes for a web series competition on AfterEllen.com. Three seasons later, Regan reflects on how Fletcher has come of age. So final episode coming up – how’re you feeling? It’s very much a bittersweet moment. It feels really good to have brought the show to a conclusion, but I am definitely sad to say goodbye to these characters. It’s been a great experience though. As an artist, how do you think you’ve developed since Season 1? I certainly have brought more experience to the show for this final season. Season 1 was four years ago…a lot has happened for me professionally in that time, and I think that’s definitely reflected in the quality of Season 3. What have you learnt since Season 1? 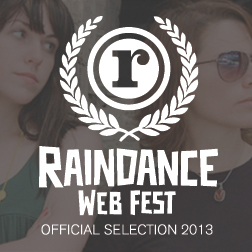 Webseries are hard work! 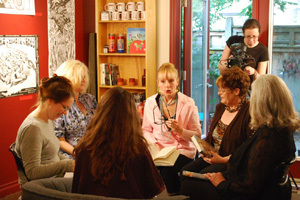 I have learned so much during this series, it’s been very beneficial for me, experience-wise. I’ve not only increased my technical knowledge in the filming and post production area, but also my way around maintaining a website (after it’s wonderfully built by the talented Rochelle), and the producer responsibilities end of the show. It’s been a lot of work…but also a lot of fun. I have also learned that fed actors, are generally happy actors! Have you altered the way that you write or develop your story arcs since Season 1? My creative process has remained relatively the same. From the inception of this show, I had already plotted out the overall arcs of the characters, so it’s really been a matter of filling in the rest. I’ve always been very happy with the creative development of each season. I’m pretty set in my creative ways. Everyone – fans, cast, friends, family, bloggers – has had an opinion of what should happen to the characters. To what extent do you listen to everyone? I listen to what everyone has to say…and then I do whatever I want. LOL. You can’t please everyone… it’s foolish to try. This being the third season you’ve made, were there are any surprises for you when you came to film it? Honestly, I think I was rather surprised at how easily everyone fell right back into step…all the actors stepped right back into their characters like no time had passed. It was wonderful, consistent, and wicked awesome. How would you say Fletcher has changed your life? So many ways! Creatively it’s been a gift to be at the head of. I have met and worked with so many amazing people, not to mention our main cast and crew, who have been a blessing on this project. From our incredibly talented supporting cast, to the wonderful people who supported Fletcher through donating not only funds, but locations, and time…this series has been an amazing experience. I have also had the privilege of being apart of a burgeoning new industry that is growing by the minute. The number of web series out there now, compared to when we started Fletcher 4 years ago, is staggering. It’s a new community coming together and I feel lucky that Fletcher has enabled me to be a part of that. What will you miss most about making Fletcher? The people. Be it getting to hang out regularly with the amazing cast and crew, or reading fans emails, tweets, and messages… Fletcher has had an amazingly supportive group of people attached to it. That is what I will miss the most. And the food. What would you like everyone to remember most about Fletcher? That it was a wicked awesome funny series and a pioneer in a brand new industry. That, and the tape recorder. Lots of projects coming up. Several of which will appeal to our Fletcher fans, I’m sure. I’m looking forward to working with Rochelle Dancel again on an all new project. Stay tuned to our website for more info on that. I’m also excited to be working with the Luminato festival here in Toronto this Spring. Busy, busy! Tune in on Tuesday, 17 April for the last ever web series episode of B.J. Fletcher: Private Eye – you won’t want to miss it!